I purchased the Zensor 1s in 2017 and can say I like them as much as my Golden Ear Aon2 which are highly reviewed. 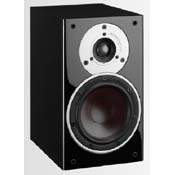 I don't think you can do any better for a bookshelf speaker in this price range. Great value and excellent sound. Sounds like live music and is great at low volumes. After a break in period of 40 hours the base and mid range really opened up. High quality manufacturing. I've hooked them up to my Rega planer 1 turntable and both a Trends 10.2 amp and Musical Paradise 301 MK3. Easy to drive and zero fatigue.